"Smooth booking process and information. Great to have direct contact number of the instructor. Kev was excellent with the kids as first time skiers (a..."
Have used LGS for a number of years and can't recommend the instructors highly enough. Both freerider courses and private tuition are excellent. Thanks Kev and Pete for fantastic lessons for my children and I last week. Tim was extremely reassuring and completely competent. It was my first time skiing, not only did I learn, I enjoyed also. Both our children were complete skiing novices, they have come away from the holiday wanting to try out red runs. Kevin gave the boys confidence, skiing technique and instilled a love of the sport - just what we wanted. Kev's coached my 10 year old and she progressed beautifully. By the end of the week she could do parallel turns down black runs when compared to the previous year she had to snow plough down the same run! Thanks Kev. Pete unlocked a door for my husband so he now skis with more confidence, enjoys it and is very keen to go skiing next year ( as opposed to being reluctant and unconfident). What more can one say?! Yet again both our boys have had a fantastic week’s skiing with LGS with lots of fun and excellent tuition- thank you. Great experience, Luke loved his lessons and improved greatly through the week. Our girls had 2 fabulous weeks with you all and have improved massively in confidence and ability. Next time we come, we will ask for Tim again. Amazing improvement and great fun. Expensive but worth the money to get the kids competent and enjoying skiing! After LGS having taught our sons to ski beginning 10 years ago when they were very small, they now wanted to try snowboarding, Not only did they learn and love their lessons , they also loved the chat with Pete during their two hour slots. Such great instructors. Just to say that my children (8, 6, 4, first time skiing) had a brilliant time last week with Pete. What patience and kindness he showed, and I'm really proud of them all. Even if they only want to ski with him now, not me..."WHERE'S PETE?!" Pete Baker was wonderful with our 6 year old granddaughter and she had great fun whilst learning lots too during her first ever skiing experience! Really great lessons! Tim was very calm and perceptive to my needs and I really progressed under his clear explanations. Felt secure because he understood where I was at and in turn I started to relax and my confidence grew. Thank you. Peter was informative and helpful. Allowed us to tailor lessons to our specific requirements. Fun, professional and safe. My confidence which was lacking, came on great guns as did my skiing. Considerable improvement in a short space of time. My friends thought I was a different person! The whole experience was excellent. We really enjoyed our lessons with both instructors - they both had different styles and techniques but we learned so much from both lessons. We would have no hesitation in recommending you and using you again in the future. Thank you! Thank you LGS for an enjoyable week. The coaching provided by Tim was excellent and I was up and running by the end of the week. A very smooth booking process and a brilliant teacher for our three children. Andy adapted the lessons to suit their different needs and massively increased their confidence in and enjoyment of skiing. Very easy to book. The boys enjoyed their time with Kev and developed their skills a lot. Tim was a really nice instructor who tailored the lessons to suit my needs. I enjoyed 2x2hour lessons and I definitely felt more confident afterwards. Would highly recommend and use again if I return to Les Gets. My son had poor experience of local ski schools in the past so really important he enjoyed these lessons. He came back with a big smile, confident and happy to have more lessons. Would use again and recommend. We felt the additional expense over ESF was worth every penny. Small classes, English instructor, tailored individual tuition for each child, lots of feedback at the end of each class. Both kids improved loads! Excellent Team!! You have a Client here!! Another great year with LGS for both adults and children. My only complaint - my daughter definitely now ski's better than me! The girls (13 and 14) both really enjoyed their lesson with Tim, they learned some great, individually tailored, technique-enhancing tweaks, which they were then able to apply for the rest of our week skiing as a family. I would definitely book again with LGS and recommend our experience to others. Tim really put them at their ease had they had a lot of fun. Pete was great at assessing what we both wanted and how we could improve. 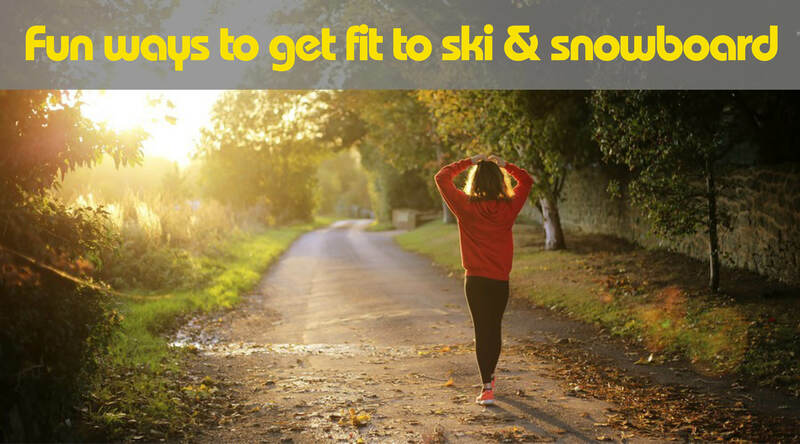 It transformed my skiing; having had an accident a few years back lots was mental and I just needed someone to get me doing what I needed to do! Pete was absolutely brilliant with our daughter Alba and we would 100% book him again should we come back to Les Gets! Really good helpful advice for a nervous beginner. Great lessons, good class sizes, well organised. All four boys in our group came back energised and confident. Feedback was honest and helpful to them. Lovely to have English speaking instructors within a small group, very nice, competent guys, kids loved it and can't wait to go again. Tim was on time, friendly and helpful. Everything I had hoped for. He made an effort to keep things chatty which I appreciated. Tim was excellent, he listened to my needs and delivered lessons that suited perfectly. My skiing improved and I had an excellent week. Fantastic group session with Kev and Tim for two children within our group. Both children made significant strides forward with their skiing over the course of 5 half-days instruction. The children had so much fun whilst learning they were literally buzzing after the lessons. The fact we plan to book for next year says it all !! The kids loved the ski lessons and found Tim to be a great instructor. My wife also found the private lesson very worthwhile. Excellent experience! Tim was friendly and informative. He was also excellent with our 10yr old daughter. We will definitely book Tim again when returning to Les Gets. Pete was great with the kids, he made it fun and my son Tom even said he enjoyed it more than Florida! The kids skiing very much improved and most importantly they loved it, thanks to Pete. After years of skiing and lessons with ESF I felt finally my skiing improved thanks to Kevin’s Friendly manner and great insight. He explained the concepts simply. Outstanding. Kids loved it and clearly inspired to improve. Massive progress achieved whilst having lots of fun. We had a fantastic time having private lessons with Andy and Kev. They both really pushed us on and I did my first black run which was awesome! The last time I skied was 26 years’ ago! The LGS instructors improved my basic technique in just 3 days so that I was able to relax and thoroughly enjoy the skiing. To see the three boys wanting to leave us (the parents) and go off with Pete was a great feeling. Knowing they safe and learning made our holiday, thank you. Really easy and efficient bookin process. Expert tuition from Tim and Pete, adapted according to their assessment of abilities and confidence levels. Great progress made. Will definitely be back to LGS. Really happy to have chosen LGS to get back into skiing! Kev was a very helpful, kind and fun instructor! Thank you! Charlie has achieved so much over the last three years under Andy's tutoring and he gains competence and confidence in equal measure, but most importantly he loves Andy's tuition and has fun learning. Tim left me with enough thoughts and suggestions to practice and help take my skiing forwards. Even the next day my group commented on the positive changes. Kev and Pete were both excellent instructors and really pushed me to achieve a lot in six hours. Their knowledge and patience were very much appreciated and they've set me up to enjoy skiing for life! Excellent experience. Tim is very personable and patient with beginners, and obviously an expert in his field. I really enjoyed learning how to ski and planning already to come back next winter! Andy was great with the kids who thoroughly enjoyed their week of morning lessons. All positive! Second year of working with LGS and cannot recommend highly enough. Feel in v safe hands with v experienced instructors. Can’t wait to book lessons with LGS again next year. Brilliant. Pete is hands down THE BEST instructor we’ve ever used. His teaching approach just makes so much sense! Andy quickly assessed my level and needs after surgery and missing a season. After two lessons I was skiing confidently again. Professional, competent lessons. Andy is an amazing teacher, extremely patient and at the same time pushing to improve in small steps. I highly recommend LGS. Pete was kind, patient and encouraging. Just what I needed. I made great progress and felt supported at all times. A great experience. Tim is a great instructor. He gave loads of really useful tips without overloading with info. I had loads of fun whilst building confidence which really improved my skiing throughout the week. Great private lessons with Tim and Andy. Our 4th year with LGS so speaks for itself. Everyone in our group had great feedback about Andy's lessons - a practical approach and also a lot of patience which gave everyone the confidence to do really well. We will definitely be back next year and I have already passed on your details to another person. Andy was a great instructor, helped me gain both experience and confidence! If we are out to Les Gets again, I will be booking him again for some refresher lessons! It has been a simple, no-nonsense, friendly experience with everyone I have met from LGS. Pete, my instructor, is extremely easy to talk to and his experience is evident in his coaching style. All my pre-booking communication was with Tim who was consistently quick and helpful in providing feedback! Thank you all! A private lesson with Tim was a pefect introduction to skiing for me and my son. Tim did an excellent job of providing everyone in our group with advice and the opportunity to improve despite some poor visibility and quite tough conditions on the day. Friendly, helpful, positive and great with children and adults alike. The lessons were excellent due to the extensive experience of the trainers. My daughter has really enjoyed her lessons and wishes Andy was teaching her every day of her holiday not just the 2 x 2hr private lessons we booked for her. Excellent thanks to Tim & Kev - Erin learnt to ski, the penny dropped for Mark and he can parallel ski now and Karen confidence was boosted despite a broken hand!! See you again next year. Another amazing experience with LGS where we all learnt so much and our skiing progressed beyond our expectations for just one week's instruction. Thank you LGS and see you next year! Totally amazed with the progress our girls made over 3 days with Andy in their technique and confidence. Thank you so much. We have used LGS for the past 12 years experiencing everything from private lessons, freerider lessons and guided days. The service is always friendly, professional and very encouraging and highly recommended. My son absolutely loved his first ski lesson and was buzzing afterwards. We'd been too nervous to start him until now, but we felt completely at ease after seeing Andy with the kids. My daughter didn't last long, but she said she wants to ski again, so that is a success too. Friendly and professional instructors who make sure the sessions are fun and aimed at the right ability level. Our kids loved the experience. Pete dealt very professionally with both our children, who I am so pleased to say have both caught the skiing bug!! If/when we return to Les Gets we will be booking we LGS again. Brilliant..... Pete taught my 9 year in a group & myself (private) who is very novice & lacking in confidence. Kev taught my 5 year old (private). Both boys have come on so well & have exceeded where I ever thought they would be after just 5 days. Pete was excellent with me & patient. I have come away wanting to ski next year. Thank you LGS. Good lessons enjoyed by all - especially the 5 year old who loved Andy and Kev. Great, friendly, patient instructors for both Adult and Children. Children loved Pete's lessons who made it fun and interesting for them so much so we added another day! Thank you! Andy was great and accommodated our diverse family needs ! Pete was very good with my son (4 years old and first time skiing). Made it fun and was patient. Tim taught our 7 Year old over Christmas. Normally he hates ski school but after each session we saw improvement And he was happy to show us what he’d learnt! Easy to book and communication very good throughout. Pete was very nice having to accommodate a broad age range in our kids and they were very happy with their progress on the Snowboard. Great tuition with friendly and fun instructor. The children improved hugely and were so happy with their progress. My daughter had great fun and came back from each lesson full of excitement about what she'd done and where she'd been. Lessons were challenging, she made noticeable progress and she pronounced Andy "the best ski instructor I have ever had!". A very happy customer! Peter was very friendly, patient and provided clear expert tuition. We had a very enjoyable holiday thanks to LGS. My boys have had LGS lessons for three years now, and the ski instructors have all been able to tailor their teaching to the individual child in the Junior Freeriders group. Our boys skiing skill have rapidly developed, and their enthusiasm stoked by the LGS team, such that no prompting was needed on the morning to get ready for a 9.15am lesson! Yet again brilliant lessons. Our 4 boys loved all the off piste fun skiing that we weren't brave enough to do with them and after our guiding days our technique as adults improved. We will always book with LGS. This is the 3rd time we have used LGS and each time our son has enjoyed the lessons and his skiing has continued to progress well. For the last 5 years our children have had excellent tuition with LGS and have always really enjoyed their lessons. I wouldn't hesitate to recommend LGS to anyone going skiing in Les Gets. Very easy and straightforward. My daughter enjoyed the lesson and improved her skills. Very happy with the lessons from Pete, the kids loved it. All three of our children not only improved their skiing but also their confidence. They came back happy every day which had not been our experience with ESF. I found that in one 2 hour lesson, my skiing noticeably improves. Tim is friendly, relaxed, and always helpful. Cannot praise Tim highly enough from turning me from a nervous blue to a confident red! Next year off piste beckons. Really helpful service, and both instructors improved our girls skiing immensely. Particularly our youngest who was quite nervous. We will definitely use LGS next skiing trip. Very good “refresher” lesson after years of building up bad habits, given a couple of focussed learning points, which have really helped. Kev was brilliant and so helpful, my son is in love with skiing because of him. Fantastic ski school and the instructors put people at ease immediately. We all gained great confidence from their encouragement and improved greatly in just one week. Great instructors, made a huge positive impact on our skiing and the holiday was more enjoyable for it. Another fantastic season with LGS. Best ski school I have used by far (in any resort). Andy delivered a great week's skiing for our children who have progressed amazingly well year on year under his tuition. Thank you as ever from all the Masons! Always a pleasure to deal with, meet and be taught the LGS instructors. Kev taught the children a great deal and a native English speaking teacher is so much better. They had good fun. Another week of fun and great improvement in our boys’ skiing - thank you to Kevin and Pete. My grandchildren enjoyed the lessons which meant that they want to continue skiing. That's what it's all about. Thank you. Pete is a really great instructor. I learned lots of useful tips. Very nice and non patronising. Children really enjoyed having lessons with Pete. The lessons really improved their skiing. Punctual, great manner with my little boy who exceeded our expectations for the rest of the holiday freely skiing blue runs after only 2 lessons! Pete had such a friendly laid back manner with our boys and they really enjoyed their ski lessons with him, would definitely recommend LGS to anyone. Tim and Andy also excellent. Excellent straightforward tuition. Will book again for next year. Really helpful lesson - made me realise I could benefit from more. Easy, professional and friendly. A great lesson by an instructor who was considerate and reassuring and assessed our group ability brilliantly. Brilliant lesson. Felt much more competent and confident afterwards. Tim made the whole process extremely easy. the single lesson received (with Andy) proved excellent and could not have been better very easy and enjoyable. Pete made our holiday a success, a family of 5, all complete beginners, his friendly and expert knowledge meant we exceeded all our expectations. Thank you. Great two hour lesson with Tim, who gave Giles the confidence to Ski on his own, with tips to improve, without patronising, and suggested slopes for us to try for try rest of our trip. Would recommend to all. Really nice, friendly guy. Thank you. Well judged level of instruction. Provided us with straightforward exercises that set us up for the week. Pete gives clear uncomplicated guidance - great instructor! Would definitely book through LGS again for ski lessons, was great to get lots more info & tips on how to improve skiing skills and Andy Cavet was a great instructor. Andy was excellent. He was understanding of our ability and had patience and insight to our needs. I booked my 2 adult children into 2 private lessons which allowed them to experience much more of the mountain during the rest of the holiday giving them confidence and ability. Result! Invaluable tuition- In just two private lessons I had the confidence and technique to take on every run with a massive smile on my face, resulting in an awesome ski holiday. I couldn’t recommend LGS highly enough. Smooth, easy booking process. Excellent lessons, Tim is a great teacher and we thoroughly enjoyed his lessons! Outstanding - Kev was a fantastic instructor, my boy loved his lessons and kept begging for more. He progressed far more than expected or hoped for - we will definitely be booking with LGS again. We booked two lessons with Kev for our whole family of 5. Kev was brilliant. He really helped each of us individually to improve our technique and in particular he finally helped me over my fear of skiing on ice! The kids really enjoyed the sessions and learnt through fun as well as instruction. Friendly and approachable team, very clear instructions and progressed at a good pace. Kids loved exploring and going off piste with Pete. Tim was extremely patient and thoughtful helping me change my technique. He’s also really good company during the lesson! Great! Very efficient booking and Pete was a patient and extremely helpful instructor. Both our childrens skiing improved considerably through using Kev at LGS in a very short space of time, particularly in their technique. Smooth booking process and information. Great to have direct contact number of the instructor. Kev was excellent with the kids as first time skiers (and helping us nervous parents letting them go!!) They improved so much in just a few days. Thank you we will definitely book with you again best wishes Claire and Les. Our 2 boys had never skied before and Pete was brilliant for them, they enjoyed every minute of it, even on day 4 where they were really tired! Thanks Pete if we come back to Les Gets we will definitely be getting in touch! Our two boys loved this year, they said Pete was great at explaining what he wanted them to do and showing the instruction as well. They thoroughly enjoyed the week. Excellent junior free ride course ran by Andy. Scarlett thoroughly enjoyed her weeks course again. Great tuition enabling her to gain her level 6. Amazing experience felt comfortable and relaxed the whole lesson , Andy is an easy guy to talk to and his instructions were spot on , would be great to pick up where we left off next time. All round a great experience & very satisfied with the whole process. Instructors were particularly good & helpful & I saw a huge improvement in my daughters ability. Highly recommended. Friendly, efficient, effective and good value. Exactly what I asked for, improved our sking in one lesson and gave us a great tour of the area so we were confident for the rest of our holiday. Andy was relaxed easy to follow and listened to us and I will ensure we have a lesson on day one with you next year again as makes massive difference to our whole holiday, thank you. We spent the previous 2 ski weeks with ESF, it was so much better with LGS. Both of my daughters were in class with Tim and they absolutely loved him. I am on strict instructions to ensure that I book him again for next season. On 2nd day both kids said 'it's better than skiing with you'! They had a great time and learned a lot. Thanks Andy! Our two boys (12 and 10) have not skied before and we were really conscious that their first experience be great. Pete was more than we could have hoped for. A lesson with just 4 children, with a lovely friendly English speaking instructor who on sight we knew we would be able to trust, meant the children learnt really quickly, confidently and couldn’t wait to go back every day. Thank you so so much for making their first ski trip a total success. Really easy to communicate with, friendly service & advice. Excellent tuition & money well spent getting our son to start skiing. Just having an hour with an instructor who speaks your language and can communicate, especially to a child is fantastic. Kev made the lesson fun for our son but gave him clear & good instructions & things for us to focus on after with him. Will definitely be coming back for more lessons in the future! Wonderful, polite, happy, considerate instructors who got the best out of our children, caring too taking the little ones for a hot chocolate to warm up! Small groups too. They all loved it! Our son was eager to join the lesson each day. Kev was brilliant in instructions and very professional. Fantastic instructor (Kev) who listens and builds confidence. Excellent explainations of the theory required and lots of practice. Andy was friendly, made us all feel at ease and had great knowledge of the area. The most fantastic way for our children to learn and develop their skiing. Top class tuition with a superb instructor. The boys have had fun from beginning to end over the last 3 years. Thanks so much Tim. Well organised with highly capable instructors whom we recommend to anyone looking for lessons in Les Gets. Our children have really improved in confidence and skill during their lessons with LGS and always come back to us smiling. Superb teaching, extremely good confidence builder. This was Charlie's third week of skiing and his second week of lessons with Andy. The progression we have seen in terms of ability and confidence is amazing - and we now have a six year old who is totally hooked on skiing and determined to find every "bump" at the side of the piste which he competently manoeuvres (whilst us adults flounder!). Andy relates really well to this age-group and Charlie loved his lessons. We really couldn't have asked for more - thanks! Andy instilled complete confidence and encouraged us to achieve more than we'd anticipated - as a nervous novice, I came home keen to go back for more. The whole LGS experience has always been really friendly and efficient. My son loved the Junior Freeriders lessons with Andy and is already talking about his lessons with Andy next year! Pete listened to our needs and was very patient while providing great advice to improve our technique. Thank you! Tim listened to our needs, watched us ski and then gave us key points to work on. He gave us a fabulous two hours skiing and changed our holiday beyond measure. Thank you. Pete was very knowledgeable and calm, especially in the face of my nerves. We all improved in the lesson and put Pete’s advice to good use during the week and will do so when we next ski. Francesca’s confidence was transformed by Pete in just a 2 hour lesson. He created a red run monster!!! Excellent instruction by Tim. Perfectly tailored for 4 beginner- intermediate skiers. Thoroughly enjoyed and would highly recommend. Knowledgeable straight forward booking service, Tim was very helpful. Pete was really nice and gave immediate confidence to the beginners getting them moving on quickly and in control. Andy was brilliant with the children and very patient with their nervous Mums! Glad we booked as Andy took the children to runs we would never have found without his guidance! After being initially unsure about going for the lesson with Pete yesterday, we were both really glad we did, because we found it extremely useful. After him correcting a couple of techniques (one learnt from another ski school!) I found I went from having to endure sections of bumpy snow to actually enjoying going over it, much more in control. And we were really impressed at how well he brought on Rebecca earlier in the week from complete beginner to pretty proficient skier in just 4 days. Wow! So many thanks to Pete for it all, definitely money well spent. Happy, reliable, friendly faces - happy to let our 2 boys go off and have fun on the slopes....thank you! Excellent lessons, really clear instructions and a friendly teacher. Brilliant! Andy was professional, pragmatic and patient - exactly what we needed and he made our experience very enjoyable. Thanks again Andy. Tim is amazing.. I've gone from never having worn skis to being able to manage most red runs in 24 days over 4 seasons. He's so patient and inspires confidence - even on the no so good days! Andy was very friendly & calm, Andy helped me build up my confidence with my technique on the slopes, which allowed me to enjoy my ski holiday more. Brilliant instruction (Pete) in a really enjoyable way easy to follow and lots of opportunity to practice the techniques taught whilst at the same time discovering the slopes and beautiful scenery. Very much enjoyed my private lessons with Tim, who made them relaxed, targeted exactly to my needs, and fun! I could not recommend enough. 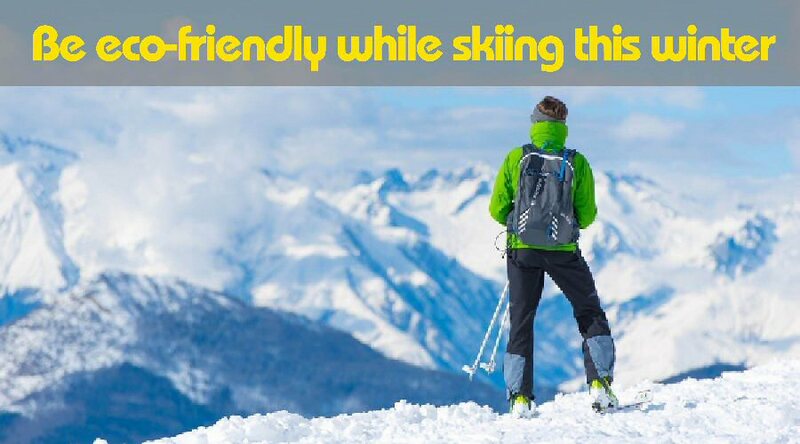 A professional and efficient booking experience, coupled with excellent ski lessons with Andy. Kev was great, very patient and able to help with the range of instruction needed for the very young to older students. Excellent, friendly instructors with easy booking process. Good experience all round. Very instructive, interactive easy going, un-rushed and enjoyable lesson. Understood I needed to understand my faults as I saw them and identify whether I was right, why with practical suggested changes to improve. The lessons were great fun, and really improved my skiing. The advice about equipment was invaluable. The use of videos was excellent. I would highly recommend Tim and LGS. Pete made the day really enjoyable. Superb information. I booked my private lesson with Tim. Having skied for years I was returning for the first time after an ACL accident. He was very helpful and would recommend to anyone. Brilliant fun, constantly assessed our ability and progress then pushed on as hard as possible - just as we hoped! Andy Cavet was an excellent instructor. There were 6 of us growing at different rates. He took great care of us all, and insured we all were the best we could be. We all will be back! Easy to deal with and Tim really helped us to improve our skiing. We'll be back in the Spring! Super tuition, knew how to pitch to our level, very useful advice put in a simple way! Very pleasant and good fun too! The service LGS provides is absolutely fantastic, they are both professional and friendly. There is nothing I can fault them on, I will continue to use their service and I always recommend LGS to friends. I had the best experience learning to ski with Tim Scott at Les Gets. I am looking forward to coming back and having more lessons next season. Having never put a pair of ski boots on in my life to being able to ski a blue run was fantastic. I would thoroughly recommend lessons with Tim! Had 2 lessons with Andy and he was excellent instructor and I was really please with overall experience and recommended to others in chalet. Excellent instruction pitched at just the right level with a wonderful client manner. Both of my instructors were professional and very nice people they helped me to improve my skiing and enjoy my holiday. Thank you to both. Really person centred which is exactly why we decided to go with an English speaking private group lesson. All your instructors were brilliant for our groups - Tim (then Kev) took a great 1 to 1 lesson with my mother who (at 73) was attempting skiing for the first time. All our other lessons were thoroughly enjoyed by all of us - beginners and intermediate alike - thank you! Delighted with my lesson and my improved confidence as a result of Andy’s patient and considered teaching. Excellent first snow boarding lesson for 12 year old twins, who thoroughly enjoyed themselves and came away confident at practising on their own! My partner was delighted with her lesson (with Andy) which did so much to help her easily identify where she was going wrong and took her back to sound basics to work on. This is our second year with LGS and the kids have had a wonderful time again - thank you! Tim was "the best skiing instructor ever" according to my 3 boys! We will definitely be booking with LGS again. Simple booking process and fantastic instructor, children loved it and improved so much - thanks LGS. Kev was a really great instructor who was very knowledgeable and was really good at getting the best out of all of us, from the youngest to the oldest. The children both thoroughly enjoyed the lessons and improved so much. Tim struck an excellent balance between improving my technical ability and keeping it interesting by moving around different pistes. He improved my skiing no end, and pushed me just the right amount. Kev was patient yet firm. Children loved learning from him. Tim was an excellent instructor who instilled confidence. Very calm & patient. Friendly and competent ski instructor, great initiation to skiing. Now we're all addicted. Tim gave individual lessons to two teenage girls and their considerably less talented father, he adapted each of the lessons to our individual abilities and goals. The lessons were delivered in a very friendly, informative style, identifying areas for improvement, building confidence, with clear ideas on how to work on improving. We have used LGS for several years and would all highly recommend them, they are great to work with. First class tuition. Would look no where else. Thank you. Very friendly and fun. The kids loved it and learnt a lot. All of us made real progress. Incredibly pleased with the progress that our daughter made over the week. Many thanks to Andy for doing such a great job with her. Quick and easy booking service with good communication. Instructors friendly and knowledgeable of the ski area and all ages had a great time & skiing greatly improved!! Charlie had a great time and loved his ski school experience. Andy was more than his ski instructor - he was his new "hero" and was being quoted constantly all the time he wasn't at ski school. It was lovely for the whole family to be skiing blue runs in confidence and safety with Charlie by the end of the week. It was an absolute pleasure taking a skiing lesson with Andy. This is the second time that I've used LGS and the level of tuition is definitely the best that I've experienced. Another fabulous week of skiing with LGS with everyone in the family making great progress thanks to the patient tuition from Andy, Kev and Pete - thank you! We'll be back! We are delighted to have found LGS, who have taught all our children to ski to a very high standard and who continue to help keep us parents out of picking up bad habits too! The instructors are incredibly friendly and immediately set you at ease regardless of your level of skiing. Thanks LGS and see you again next year! Very pleased. Very professional and friendly experience. Excellent teaching and company. I thoroughly enjoyed learning to ski with Mark. I am a later starter to skiing and Mark's clear explanations, demonstration and encouragement really helped to me to gain skills and increase in confidence. Thank you. Both of our boys (7 and 4) loved their week of skiing with LGS. They started and ended their lessons with a smile and gained in confidence and technique over the week. Our 4 year old was singing to himself as he skied by the end of the week! My son and I had a 2 hour lesson with Tim - very helpful and enjoyable too! Thank you. Children so happy during the lessons and came back much improved ! Fantastic service and excellent value for money. Tim was a great instructor who my son got on great with. My son had 2 x 2hr lessons and never having had a pair of skis on before these lessons was exceptionally confident by the end of them. Brilliant as always, see you next year! Booking and sorting out lessons for my daughter were very easy - Grace really enjoyed her week with Pete - She overtook us a couple of times ! and we will definitely try and book Pete for next year. Very efficient company with friendly and experienced instructors. Mark gave us some very helpful and perceptive pointers that gave us plenty to work on over the rest of our holiday - including strategies that served me well down a couple of mogully runs I wouldn't have attempted before - thank you! Superb lesson with Kev - my little boy Raffi loved his lesson and has been talking about his 'snow teacher' ever since. We'll be back next year! Thanks again! I would definitely recommend LGS. In particular Andy was fantastic with the children they learnt a huge amount and really enjoyed their lessons. Tim and Mark both rose to the particular challenges set by our group of very varied abilities and experience, and we had a really good time as well. Overall a great experience & my 6 year old had a fantastic time. Pete was friendly, patient & an excellent instructor. We will definitely be back. Excellent tuition for first time snow boarders. Pete's flexible approach meant that both my son and I got up the learning curve as quickly as we could. Many thanks. I always use LGS as they are professional and have always exceeded my expectations. Definitely the team I would recommend. Excellent friendly teachers. Lessons well tailored to our individual needs. Great service. What more can I say! The children had a valuable experience and finished each lesson wanting to show us where they had been and what they could do. They were then keen to ski and practice for the rest of the day. Really thoughtful, clear tuition which will hopefully unpick years of bad habits. We really enjoyed our 3 lessons. Ruby had a great time with Pete, she became confident throughout the week, controlling her speed and turning. We will definitely be using LGS for future lessons. Wonderful lesson with Tim. He adapted the lesson to what we asked, our abilities and what we wanted. Would highly recommend and if in les gets again would ask for Tim. Another year of great lessons for my two kids from Andy and Kevin! Great tuition in the lovely Les Gets Resort! Great time with LGS, very friendly, very approachable instructors. Really wanted you to have a great experience!! Mark was superb with the lads & they both benefited big time from having had him for the 5 days. They really enjoyed their lessons & they loved spending time with him, he has a lovely way with him & he really encouraged the boys to become better skiers & to be responsible on the slopes. Highly recommend Mark as an instructor for kids - lots of patience and experience and the perfect balance of fun and learning! Thanks a lot! The lessons improved my skiing to the level that I was expecting. The instruction was very clear. It helped to build our confidence levels and showed us lots of slopes that we could then practice on. A great couple of days! Second year for private lessons with Kev. Fully recommend. Very patient offering lots of advice & technique. Pushed my ski-ing to next level. Exceeded my expectations. Will be back next year. The whole process was brilliant. Tim matched his instruction to meet our own individual needs but at the same time extending us so that we had greater confidence and ability by the end of the week. Thank you so much and we will come again. LGS have been nothing short of exceptional in teaching my partner and I. The professional yet personal approach has been encouraging and enjoyable throughout, and is testament to the experience of both Tim and Pete. Very enjoyable lessons, extremely friendly instructors who go out of their way to put pupils at ease, which is a massive help in gaining self confidence. Neve thoroughly enjoyed her free riders course and her confidence and ski ability has improved significantly. Thoroughly enjoyed the lesson with excellent tuition which was delivered very well. One of the best instructors we have ever had. Benefitted greatly from the lessons again this year, a good confidence booster. Andy is a great instructor. I had a private lesson with Mark today 4/03/17 and I would just like to say thank you so much for everything! This time last year I had completely lost my confidence, going from being fairly confident on black runs to freaking out over a blue. Mark was so patient and so encouraging and he taught me the technique I needed to feel like I was in control again. He personalised his teaching to things I would understand and relate to and he made me feel like I could do it. He taught me to ENJOY skiing again! Thank you so so so much, I could not recommend LGS more!! Annie 4/03/17 - Tim was very encouraging, his pacing and explanations exactly right for me, building up to more challenge at the end of the lesson. The one lesson made a real and immediate difference to my skiing, thank you Tim! Instructors were great. Took time to watch us and listen to us and try lots of different approaches to improvement. Felt I understood skiing a lot more as well as getting better at it. Following a serious knee injury Tim has helped me back on the slopes and his patience & understanding has improved my confidence and I am enjoying my skiing again. Great Experience. Our Ski Famille chalet host Matt recommended you and the booking process was superb and Kev was an excellent instructor. Will use for my little boy when we come back next year. Brilliant service from the start! Great communication and very experienced tutors. We found our love for skiing thanks to them. We will be back for more lessons so we can improve our techniques. Thanks a lot to Pete and Andy. Great tutors. Andy had great patience, a good sense of humour and had a knack of taking my mind off the terror of skiing. I felt like I made huge progress in a short time and am actually looking forward to going again - something I never thought I'd say! From never having skied on snow my two daughters (aged 10 & 7) were confidently & competently skiing red runs after five thoroughly enjoyable lessons with Pete. Very pleased. Excellent instructions, lessons were very helpful for all the levels in our family. Excellent mix of practical and demonstration, relaxed and professional. As a parent its a big deal to entrust your 7 year old daughter to anyone let alone someone to teach her an extreme sport. Such concerns were immediately dismissed from the moment we left her with you,we were all made to feel so assured and she had a great time and life experience leaning how to snowboard. Thank you again..! Excellent, well ran lessons by Tim. Our daughter's skiing really came on through the week. Pete makes the lessons challenging but such fun for the kids and the booking service provided by Tim is excellent with great turnaround times on responses. Massive thanks to Pete & the LGS team! A great week in Les Gets. The whole family now have the skiing bug! For a group of 6 lads both instructors did a great job at teaching the basics. We went from complete novices to completing a full blue run with just 4hrs teaching time over 2 days. Highly recommended. LGS always deliver. The junior lessons with Andy for Adam were well balanced between having fun and developing skiing technique. Our private lessons with Andy were once again fantastic, moving us both on in our skiing. We were all delighted with everything... LGS are a great team. My lesson was just what I needed to improve my skiing ability and my confidence. Tim diagnosed what I needed to do and it has made all the difference to my enjoyment of skiing. LGS provide the best ski tuition in the Portes du Soleil region, we have tried others, but none match your expertise and patience. Andy took our two daughters for two hours each day on our three day trip, the girls absolutely loved their lessons and the improvement was amazing, next year I think I made need to book lessons for myself so I can keep up with them!!! I couldn't recommend LGS enough!!! Mark's sensitivity to ensuring the children enjoy the lessons as well as learning to stay safe on the slopes (our 2 main objectives of private lessons) is outstanding. The whole experience of LGS has been top notch. A very professional booking process and excellent lessons. Our son Hamish loved it and his skiing came on a treat! Thanks to Tim and his Team. Great lessons with very personable ski instructor, our son really enjoyed himself and felt his skiing progressed greatly, sadly too good for us to keep up with now! Excellent ski instructors both individualised the lesson to meet my needs and definitely improved my skiing as I had lost confidence following a ski accident. Excellent! Tim teach us a lot, and was very cool! Both of my girls enjoyed the lessons immensely. Lottie went from nervous and saying she'd forgotten how to ski to beginning parallel turning in 5 days - amazing! Another fantastic lesson with Tim, to set me up for a great week's skiing. I always improve and grow in confidence. Thanks so much! LGS are like family and work on a personal basis. LGS was a great way to get 11 year old Tabby's skiing started. She loved it. Mark was brilliant with Pip and George and both thoroughly enjoyed their lessons. He seemed to really understand the needs of both children and responded appropriately to both. He spent time at the end of each lesson to talk to us about their development which was really valued. All children loved receiving their badges at the end. Andy quickly got Issy, my eight year old comfortable and confident on her skis. He made the experience fun and therefore her skills progressed quickly so that on the second lesson she was comfortably negotiation blue runs. Third lesson confidently progressing down blue runs with ease. I cant recommend him highly enough, it made our holiday and has instilled in her a love of skiing and the mountains. Thank you. Relaxed controlled ski lesson with fantastic guidance from Tim Scott. Highly recommend. Andy was just brilliant - brought me from a very anxious novice to untidy parallel skiing in a matter of days! He was calm, patient, took me at my pace, good company, gave good, clear, simple instruction. There are lots of ski schools to choose from but for my money, go with the smaller independents. You get tailored instruction with people who really know and love the mountains. Our ski lessons were fantastic enabling both our children and us to make the progress we wanted...a thoroughly enjoyable experience. This was our son's 2nd year at LGS and he thoroughly enjoyed the lessons with Mark and was able to consolidate his skills. Hope to be with LGS back next year. Mark was a true professional giving our two kids a superb introduction to skiing and all the mountains can offer. Our 2 boys, 9 and 7 years old took to their second week with LGS with gusto. They went from level 2 to exceeding level 3 and are now skiing blues, reds and even the lower section of a black! Great to have the whole family zooming around together. Big thanks. Very grateful for Kev's patience and not being phased by one very nervous skier! We all really enjoyed the lessons - many thanks. My son was very happy with Mark and was more than comfortable to go off with him for two hours. He asked if he could have him again next time we go. Andy was a great instructor and addressed the specific areas we wanted to work on. We learned a lot and definitely improved. The lessons were fun. Perfect! Super friendly and built rapport easily. Great lesson giving me confidence and tidying up my technique. Please tell Tim I did the yeti run after our lesson!! I will be back next year for some tuition on the black runs so I can keep improving. Thanks a million. I just wanted to say how impressed I was by your ski school and by the instruction Andy gave me. My aim for the week was to get down a blue run, we managed that on the first day! I am not very confident and hate steep bits (a steep bit for me would be on a blue run) but Andy convinced me I could ski, I really enjoyed my lessons and felt able to ski with my husband and son for the first time. Andy was fantastic! Very patient and understanding. Really enjoyed my lessons with him. Andy was an excellent patient instructor, he always listened to my skiing requests and delivered everything that I wanted from the lessons. I would definitely use him again. Energetic, plenty of motivational enthusiasm and always having one of the children on the piste at the same time while respecting their ages and needs. Many thanks. Excellent. We could not have imagined that the children who had never ski'd before would be confidently navigating their way down the pistes and on the chair lifts after only 8hrs of tuition. They were flying by the end of the week. Our kids loved Andy's fun lesson. See you next year?? 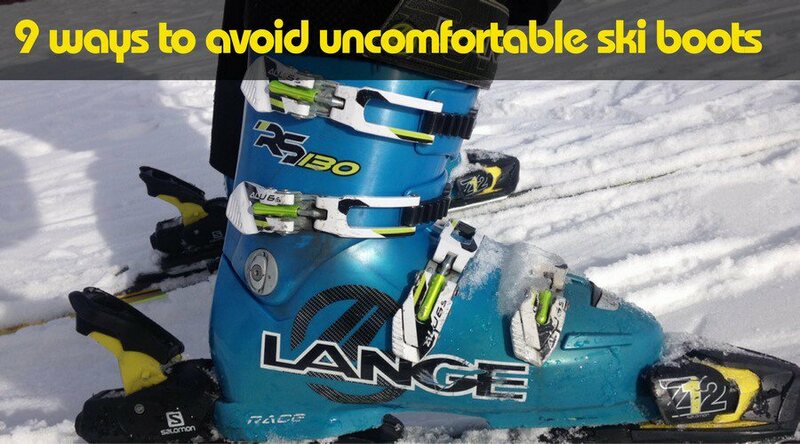 Excellent - feel more confident and ready to ski more challenging runs in a competent manner. Was also fun to learn and valued the experience and approach that Andy took. Thoroughly recommend LGS for private tuition. Over the last few years I like to think I am a better skier because of them! Initially, my lessons were to refine my ski technique but also to rebuild my confidence as I was a very nervous skier. Tim was very patient and guided me around the mountain. Excellent! Mark was brilliant. He really got my level and tailored the coaching perfectly as well as being a really decent guy. Would definitely book through LGS again. Thank you! Excellent tuition from Tim as always, looking forward to the next time already! Tim was super!! Efficient and friendly..will book for next time. We all enjoyed are experience with Mark, he was a great tutor and very happy to help. Happy to take us at our own pace. In my five weeks' of skiing I've had numerous private lessons and this was the best as my instructor listened to me and didn't just deliver a bog standard lesson relevant to my ability. Instead Peter used analogies that were relevant to me and that I understood and he took the time to empathise and help me progress tailoring exercises to my requirements and nerves! Great mixture of instruction, practice and feedback as well simple things to practice while Tim's laid back style means it never feels like hard work or that you are "on a lesson"
Kevin was great at progressing and adapting lessons to the clients pace. Louis Mckenna would like to thank Kevin for making his first week doing a dream come true. Having booked a private ski lesson for both myself and 7 year old daughter, I can highly recommend the professional service of LGS. Pete was incredibly patient and a great teacher. Both boys found him fun and easy to learn from. Pete and Mark were both excellent - the children all had a wonderful time and developed their skills and confidence on the slopes. We found LGS to be really helpful and flexible, would definitely recommend. Really excellent tuition. The whole service, including pre-information and correspondence, was superb. My boys instructor (Andy) was brilliant at instructing the boys in the basics and then developing that quickly over their lessons. He also made it a lot of fun for them, and used a great mix of slopes to build their experience and confidence swiftly. Perfect for what we needed, and exceeded my expectations. Would highly recommend. Mark was a fantastic instructor and I gained a lot of confidence with him, he knew the level that I should ski at but pushed me enough so that I got the best out of the lessons. Despite the lack of snow in Les Gets, LGS made other arrangements in Avoriaz and were flexible with changes of times. I would not hesitate to use them again and look forward to gaining more experience with LGS next year. Tim was a super instructor for the two of us, quickly spotting the points that needed work and giving simple ways to improve technique while having a good fun session on the slopes. Excellent instructor, excellent lessons, in 4 days one of us went from complete novice (never had a pair of skis on before) to confidently tackling blue runs. My 2 children, aged 7 and 10, really enjoyed their lessons with Tim, and have already asked if they can have them again next year. Good lesson. Tim was very patient considering how terrible we both were at skiing. Pete was a gentleman and the kids loved him. Saw massive improvement with their skill level and they commented that he was 'a really nice guy'. Kevin was a brilliant teacher, he made lessons fun and relaxed, and was happy to repeat and adapt his advice until it 'clicked' with me. Despite the lack of snow in the Christmas week, I still made great progress in just two lessons- thanks Kevin! Outstanding instructor who gave our 8 year old the most fabulous start to his skiing career. Great flexibility shown given need to move lessons to Avoriaz. Not the cheapest but overall good VFM and we are glad we opted for LGS. Would definitely use again.